Chef’s Table: Romantic Dinner for Two. Make a night of it the night before. For ambiance, passion, taste and memorable first impressions, nothing compares to Damian’s Cucina Italiana. Select from numerous private rooms for your dinner—we can accommodate from 20-140 seated guests. 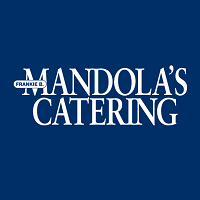 And while our Italian cuisine is world-famous, feel free to explore our full catering menu. A marriage of taste and distinction. Passion is the common ingredient in everything we do. Which makes Damian’s a natural choice for wedding receptions. Our private rooms can accommodate seated events for 20-140 guests or standing receptions for up to 180. For availability and more information, please call our Event Manager at 713.522.0439 or complete our Event Inquiry. You may also view our private dining rooms by clicking on our virtual tour. Download our banquet information packet. Our food is a tough act to follow.